RV Parks Campgrounds Insurance New York Camping is the stuff that memories are made of. From the beaches to the rural areas, campgrounds and RV parks are considered hot destinations spots where guests like to enjoy everything the weather has to offer in every season. Campgrounds or camping parks offer rental of lots and hookup to utility services to tourists in recreational vehicles. Some may offer repair services, off-season storage, and sales or rental of units. Campgrounds may have playgrounds, restrooms (often with showers), a retail convenience or grocery store, and a service or utility building for laundry or recreation. Recreational activities available may include boating, canoeing, climbing, fishing, horseback riding, hunting, swimming (in a pool or lake), or tennis courts. Some offer storage of vehicles in the off-season. Campgrounds are generally independently owned but may have a tie to a national organization that requires inspections and certain minimum amenities. If you are an owner/operator of a RV park or campground, you want your facility to be the place that welcomes guests back, year-after-year. You work hard to maintain your park, so be sure that your RV parks campgrounds insurance New York is working hard for you. RV parks campgrounds insurance New York protects your property from lawsuits with rates as low as $67/mo. Get a fast quote and your certificate of insurance now. General Liability Insurance - The world we live in is full opportunities for calamities. Recreational properties can pose their own hazards. Your customers are relaxing and enjoying their vacation; the next minute someone has tripped and fell off the dock and hit their head on a boat parked at the dock. Or a visitor trips over a piece of your firewood and breaks an arm. Even if you have done nothing wrong, someone may accuse you of negligence leading to their injury. This can result in costs to defend yourself, and a financial settlement if a jury agrees with your accuser. General liability protects you even if you should get sued because someone got seriously hurt while vacationing at your park. 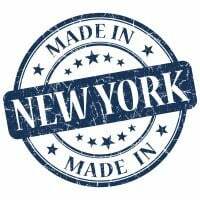 Workers' Compensation Insurance - Required in many states for any non-owner employees, NY workers comp provides medical and disability coverage for your employees in the event of a work-related illness or injury. Liquor Liability - If you sell liquor on your property, you can purchase a liquor liability policy that will protect you in case injury occurs resulting from liquor sales. Pollution Liability - With so many large gas tanked vehicles visiting your NY property, you may want to purchase a pollution liability policy. This will protect you against leaks or spills. 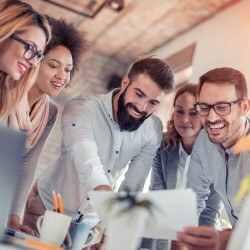 Employment Practices Liability Insurance (EPLI) - In this litigious age, it's worth protecting your business from lawsuits filed by current and former employees - from wrongful termination suits to discrimination complaints made to the Equal Employment Opportunity Commission (EEOC). NY Commercial Auto Insurance - This RV parks campgrounds insurance New York policy insures your vehicles for liability coverages and physical damage for situations, usage and amounts not covered by your personal vehicle policy. Generally, if a vehicle is used in providing services related to your business, a NY commercial auto policy will be necessary. It provides coverages such as collision, liability, comprehensive, medical payments and uninsured motorists' coverage to your business. When you have offices and other structures on the premises of your RV Park or campground, you will need property insurance to provide coverage for your buildings and contents. With NY property insurance, it is important to properly match the amount of coverage to the replacement cost of the structures. If the structures are new construction cost will be available from the contractor, which is usually the case with structures constructed in the past several years. As the structures get older, you can seek assistance from your insurer in calculating the replacement cost of the structure using custom industry figures. Campground Equipment Insurance - RV parks campgrounds insurance New York coverage for your equipment such as tractors, mowers, golf carts, boats, picnic tables, etc. Business Owner's Policy (BOP) - This protects your business' buildings, contents and loss of business income, premises and product liability. The policies will offer many automatic coverage enhancements not found in other insurance programs. The BOP looks somewhat like a homeowner's policy in that the automatic extensions of coverage are built into the RV parks campgrounds insurance New York policy. These extensions cannot be removed for a credit and they provide an elementary limit for the enhancements. Swim rafts or water trampolines that aren't equipped with at least one ladder each. Trampolines (water trampolines are acceptable). Swimming areas that do not have signs posted that no diving is allowed. Risks without speed limit signs on all private roads. Rental of mobile homes that are more than 15 years old. Boat rentals with motors over 75 HP. Premises liability exposures can be high due to the number of visitors to the campground. Participants can trip, slip or fall on rough terrain, be struck by vehicles or projectiles, attacked by animals or insects, suffer exposure to harsh weather elements, or drown. If the campground owns and rents units, all the life safety concerns of a lodging operation need to be evaluated. The condition of access roads, security at the camp, and the condition of the park are the major liability concerns. Water purity should be checked on an ongoing basis. Playground equipment must be properly maintained and documented. Swimming areas should be clearly marked and "No Swimming" signs posted at any lake or pond where swimming is not an offered amenity. Swimming pools should be fenced, with a self-closing gate and depths clearly marked. Pool rules should be prominently displayed. Life saving equipment should be accessible at all times. If open fires are permitted, all fires must be extinguished and cooled to prevent the spread of fire. Personal injury losses may occur due to alleged wrongful eviction, invasion of privacy, or discrimination. Workers compensation exposure includes service, janitorial, and maintenance activities. Slips, falls, insect bites, back injury from lifting, hernia, sprains, and strains are common. Interaction with tenants can be difficult. Employees should be trained in dealing with difficult situations. Animals owned by tenants can bite, scratch, or kick workers. Contact dermatitis or respiratory ailments may result from janitorial and maintenance responsibilities. If there are other operations, such as lodging, logging, tree trimming, or application of herbicides or pesticides, you will need extended coverages. Property exposure includes the office, restroom and shower area, and laundry facilities. Campgrounds are generally located in remote wooded areas miles away from public firefighting resources. There should be fire detection and firefighting capabilities within the camp to control a small fire. If there is a snack bar or restaurant, all cooking equipment should be properly controlled. If there is a central laundry area, washers and dryers must be properly maintained. There may be community buildings, snack bars, or owned trailers that are available for rent. These must be in good condition with heating and wiring up to date. There should be a smoke/fire detector in each owned unit. If alarms are battery-powered, there must be documented records of periodic maintenance. If the campground is seasonal and motor homes or campers are left on premises for storage in the off-season, a caretaker should stay on premises or a security service should check each day for vandalism or small fires. Crime exposure comes from employee dishonesty and money and securities. Background checks should be conducted on all employees handling money. All ordering, billing, and reimbursements should be separately monitored functions. Both internal and external audits should be conducted at least annually. If there is cash admission or a restaurant, there may be an accumulation of money. Regular deposits should be made and the number of cashiers should be limited. Inland marine exposure is from contractors' equipment used to maintain the premises and valuable papers and records for campers' information and contracts with vendors. Equipment should be stored when not in use, with the storage facility locked. Business auto exposure is normally limited to hired and non-ownned for employees running errands. If there are owned vehicles, all drivers must have appropriate licenses and acceptable MVRs. All vehicles must be maintained on an ongoing basis and service documented. Running a business in the NY outdoor recreation industry has its own set of challenges. 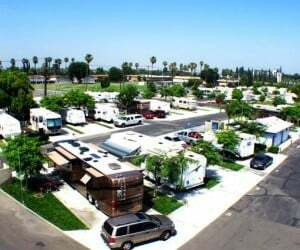 Cover your assets against potential damages, risks or lawsuits with a RV parks campgrounds insurance New York policy. Make your outdoor recreational area safe and enjoyable for everyone.